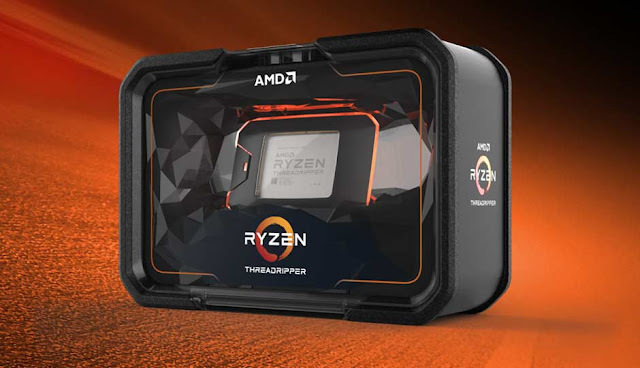 One of the key announcements made by AMD at their COMPUTEX 2018 press conference was that of the 2nd Generation Threadripper CPUs and they’re finally here. Leading the pack is the 32-core TR 2990WX with a base clock of 3 GHz and a boost clock of 4.2 GHz. It has a TDP of 250 W which is more than some of the most demanding graphics cards that are out today. The price for this monstrosity? $1,799 or Rs.1,25,990 + Taxes. Here’s the complete line-up. Pre-orders for the 2nd Gen Threadripper CPUs begin today with retail availability set for the 13th of August 2018. Indian pricing has only been provided for the TR 2990WX and not for the others. AMD Threadripper 2 Lineup Here’s the complete line-up including the previous gen Threadripper along with the current gen. The core count as certainly gone up to compete against Intel’s upcoming HEDT CPUs. And by the looks of it, AMD has priced the SKUs to be competitive as well. At $1,799 for the top SKU, that too a 32-core one, Intel will find it extremely difficult to beat the Threadripper. Intel had demonstrated a 28-core CPU at COMPUTEX 2018 and they’ll certainly have to push the envelope if they have to compete on pure core-count alone. The 2990WX has four Zen+ Zeppelin dies connected with each other using AMD’s Infinity Fabric. Each die packs 8 cores giving a total of 32 cores. Similarly, the 2970WX has a similar configuration but not all cores are being used. One core per CCX is disabled so each die has 6 active cores resulting in a total core count of 24. Aside from these two ‘WX’ processiors, AMD Threadripper 2 also has two more SKUs (2950X and 2920X) with just the traditional ‘X’ suffix which are meant to replace the existing 1950X and 1920X CPUs. The core counts are the same, i.e. 16 and 12 cores for the 2950X and 2920X, respectively. The boost clocks for the two have been improved owing to improvements in the microarchitecture. AMD TR 2990WX beats Intel Core i9-7980XE AMD France accidentally leaked benchmark figured of the 32-core TR 2990WX and with a score of 5099 in Cinebench R15 Multithreaded run, it beats the Intel Core i9-7980XE by a margin of 53.5%. That’s the massive lead that Intel has to beat in order to retake the HEDT crown.